Lewis Hamilton admitted he "chose the wrong words" when referring to his hometown Stevenage as "the slums" at an awards ceremony this week after his choice of phrase prompted a backlash. Hamilton was speaking at the Sports Personality of the Year awards when he made the comments. 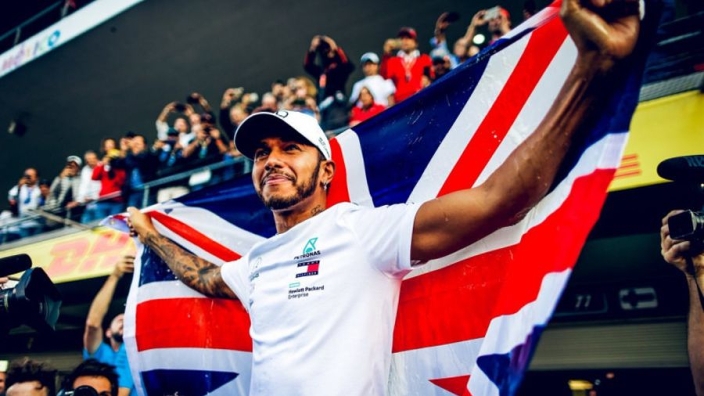 Hamilton regularly shines a light on his journey from a humble background to becoming a five-time world champion and was doing so again at the BBC awards show in Birmingham this week. The 2018 champion said: "It was really a dream for us all, as a family, to do something different, to kind of, for us, to get out of the slums ... well that's what we would say, it was not the slums. But just come out from somewhere and do something." Although Hamilton immediately corrected his words, it still caught the attention of locals and Stevenage Borough Council leader Sharon Taylor said those in the area were "very offended" by the comments. In an Instagram post that has since been deleted, Hamilton held his hands up for the error but asked his detractors to move on. Hamilton finished runner-up in the annual vote for Britain's top sportsman behind Tour de France cycling champion Geraint Thomas.